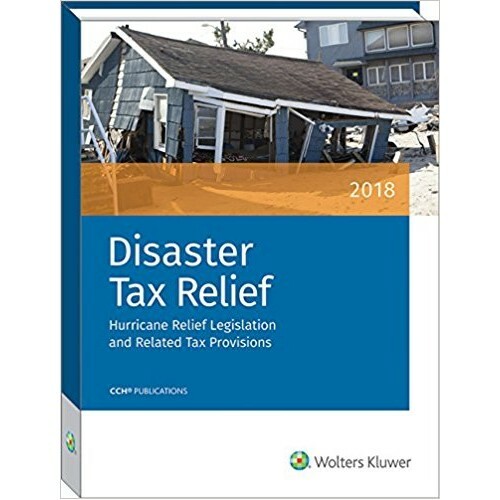 This publication addresses both federal and state tax guidance on provisions for disaster tax relief, and weather-related or naturally caused losses in general. The publication covers both immediate relief related to 2017 hurricanes and wildfires as well as longstanding relief. Specifically, Chapter 1 covers Title V of the Disaster Relief and Airport and Airway Extension Act of 2017 (P.L. 115-63), which allowed for specific relief from limitations on retirement plan withdrawals, charitable contributions, and other assorted federal tax provisions. Additionally, the chapter also covers administrative guidance released by the IRS as well as state departments of revenue allowing for delays in filing certain returns, abatement of penalties, and temporary elimination of certain taxes. The remainder of the book addresses codified provisions of the Internal Revenue Code relating to the requirements for claiming casualty losses, the exceptions from casualty loss requirements attributable to disaster losses, involuntary conversions, farming net operating losses, and any other type of federal provision relating to weather-related losses. Additionally, specific state revenue laws that deviate from the federal treatment of these losses are also provided, with an emphasis on states that have been affected by large natural disasters in 2017. In addition, the appendix includes useful value adds like a table of declared disaster areas for 2017, text of Title V of the Disaster Relief and Airport and Airway Extension Act of 2017 (P.L. 115-63), a curated selection of sections of the Internal Revenue Code relating to disaster and casualty losses, election and compliance statements, as well as client letters. 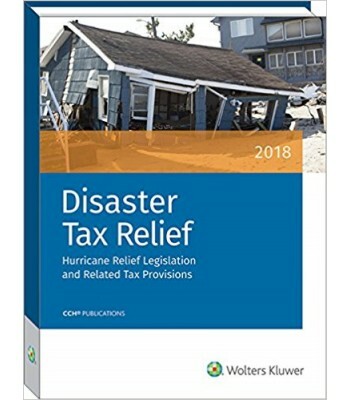 Disaster Tax Relief: Hurricane Relief Legislation and Related Tax Provisions serves as a single source of disaster and casualty loss treatment and compliance for 2017.